Deas’ Brigade fights Mitchell’s brigade alone and unsupported. The alignment of Manigault’s brigade is also disrupted by the rough terrain it encounters on the way up the ridge to attack. 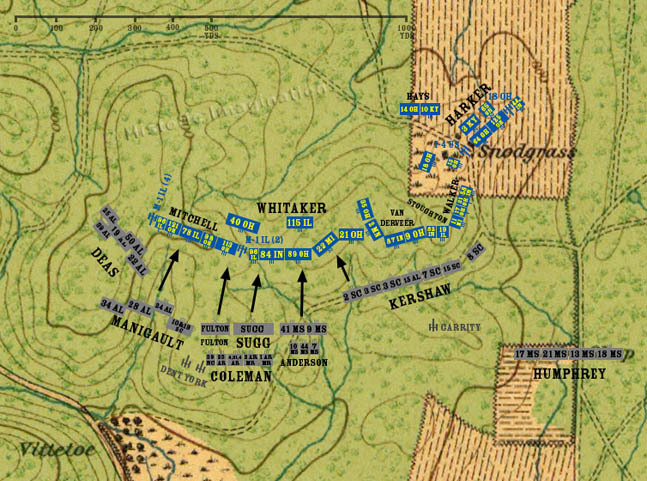 Johnson’s Division and Anderson’s Brigade attack together.